Blockchain, digital currency, and crypto-currency technologies have already had a transformative impact on the business world and the global economy. Investment in digital currency and blockchain companies is increasing exponentially, and new, exciting applications for these technologies continue to be found. However, the innovators and entrepreneurs driving this evolution are starting to run up against a unique set of legal challenges, including heightened regulatory scrutiny and outdated regulatory frameworks. Brown Rudnick lawyers are at the cutting-edge of assisting digital commerce clients navigate the ever-changing legal issues that arise in the implementation of blockchain and digital currencies. Our Blockchain and Digital Commerce Practice Group consists of a multidisciplinary team of lawyers that guide our clients through transactional, litigation and regulatory issues, with a diverse global footprint that allows us to assist our clients across the world. Our team has represented many leading blockchain and digital commerce companies in corporate and securities, intellectual property, tax, privacy and cyber security matters, as well as in white collar investigations and securities litigation. 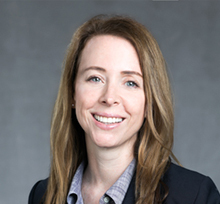 Advising companies in the U.S. and abroad on ICOs – including assessing the viability of selected functionalities and/or smart contracts, arranging exempt offerings (Reg D, Reg S, Reg CF and Reg A), drafting and reviewing white papers with respect to disclaimers and legal compliance, elaboration of compliance blueprints, and assessing cybersecurity and data privacy compliance procedures.